Wardsville Barn Quilt Stories for you to read and print off. War was a common part of George Ward‟s life in the late 18th and early part of the 19th century. It seemed the British were constantly at war with the Americans and French. George Ward joined the army at a young age and was a British Red Coat for most of his life. During the War of 1812, it was required by government that every able-bodied man aged 16 to 60 serve in the local militia. The men had to provide their own weapons. The militia was responsible for homeland defense and protected their local areas. The local militia were not well trained but quickly invented tactics better suited to their terrain. Local men used their knowledge of the land to fight the enemy in the Longwood‟s forest. Their fighting style was modeled after the guerrilla warfare style used by native warriors. Many times these tactics resulted in fewer deaths to the militia unit. George Ward was connected to the militia through his two eldest sons. At the age of 16, both sons enlisted in the local militia to defend the region from American encroachment. The re-enactment of the Battle of the Longwoods will will be held Sat. March 8, 2014. Traffic will be re-routed off Longwoods Road. This is the first time the battle will be re-enacted on the actual site. The “Soldiers” barn quilt block was the first choice for this battle ground where blood was spilled. “Soldiers” captures the attention of motorists speeding by and encourages people to stop the car and pay respects at the cairn. 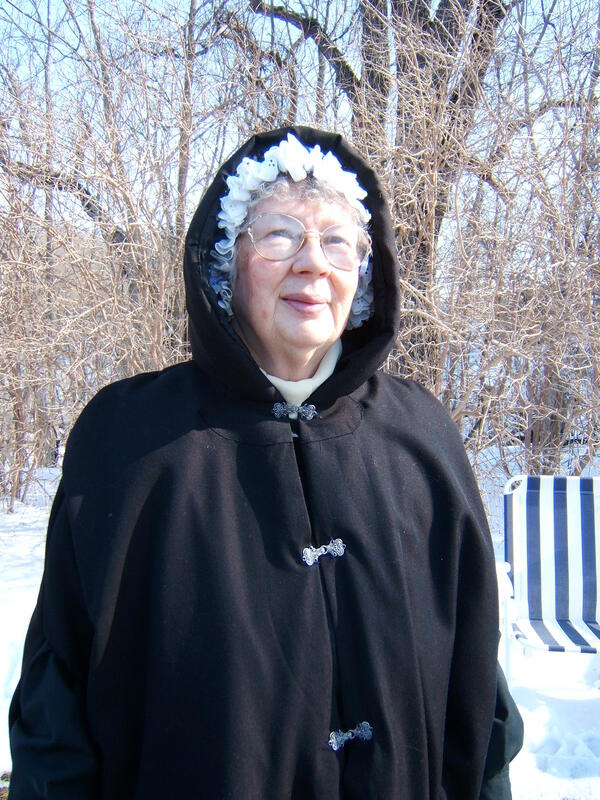 The Upper Thames Reenactment Society cares for the site and holds a memorial service each year on the first Sunday of March at 2:00 p.m.
“Soldiers” is sponsored by Betty Simpson. For two and a half years, Americans fought against the British, Canadian colonists and native nations. Some of the War of 1812’s battles and heroes became legendary, yet its blunders and cowards were just as prominent. This film shows how the glories of war become enshrined in history, how failures are quickly forgotten and how inconvenient truths are ignored forever. With stunning re-enactments, evocative animation and the incisive commentary of key experts, THE WAR OF 1812 presents the conflict that forged the destiny of a continent.